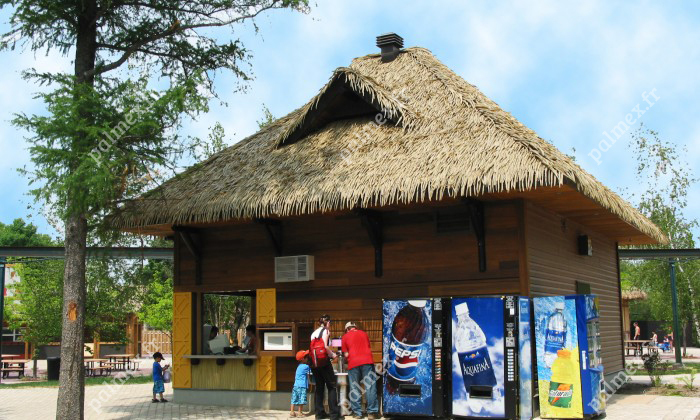 Discover in picture form our partners who have had confidence in us. 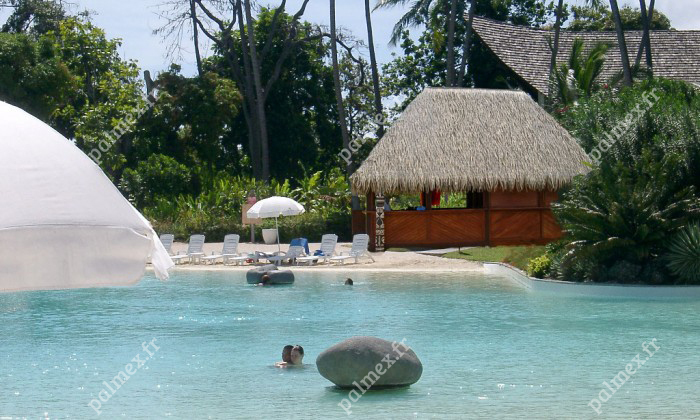 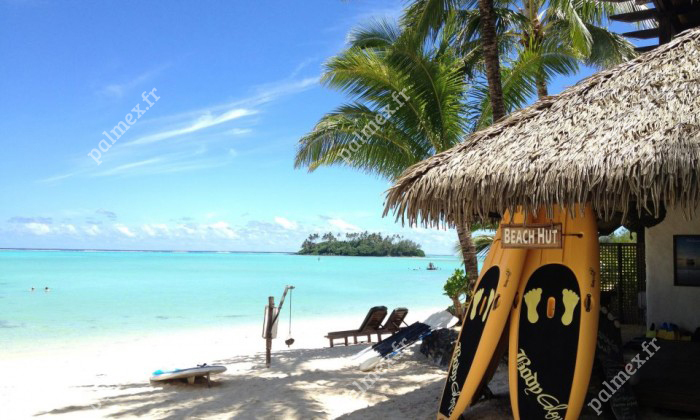 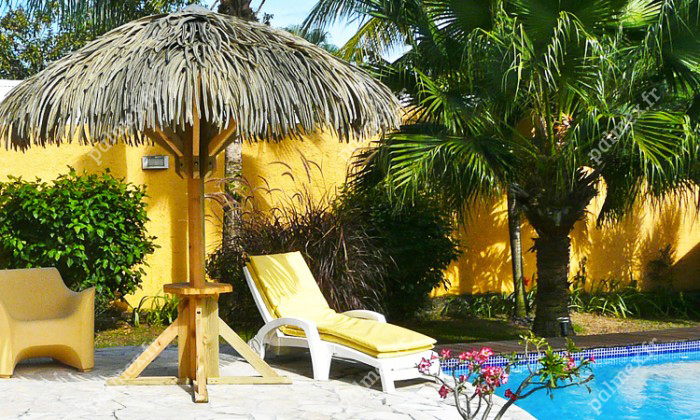 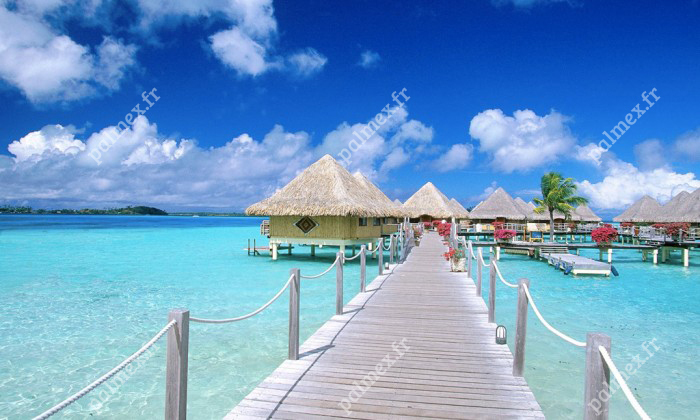 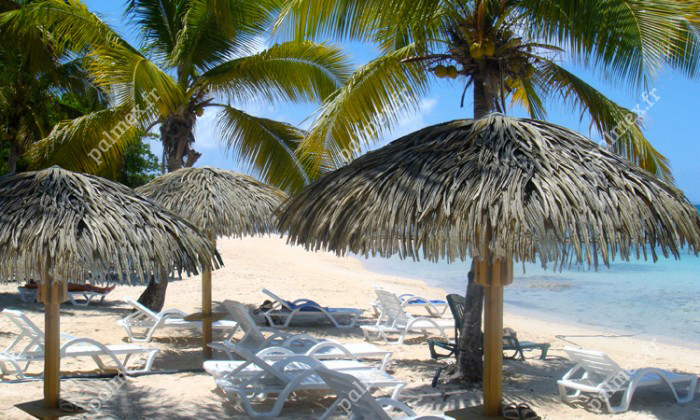 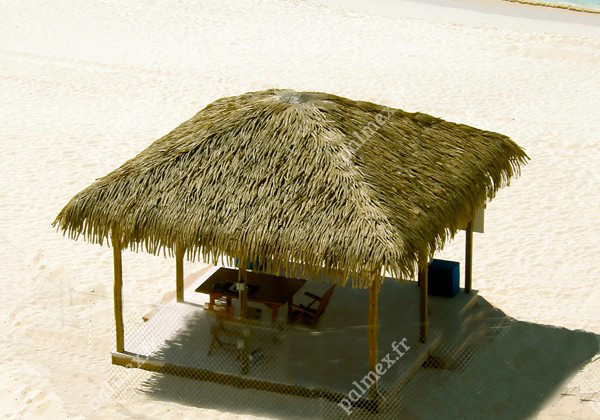 With the synthetic Palmex product, bring a tropical and exotic touch to your holiday beaches. 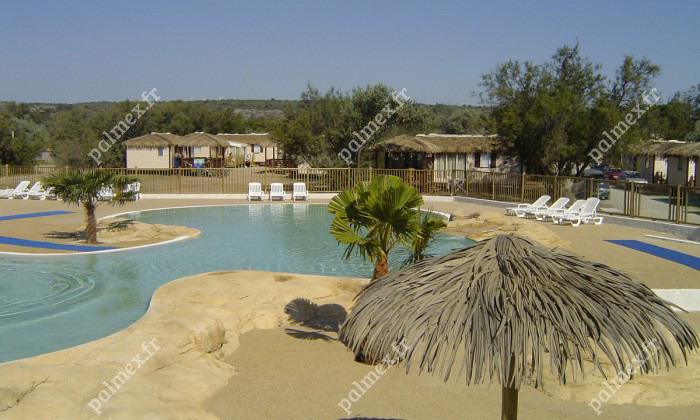 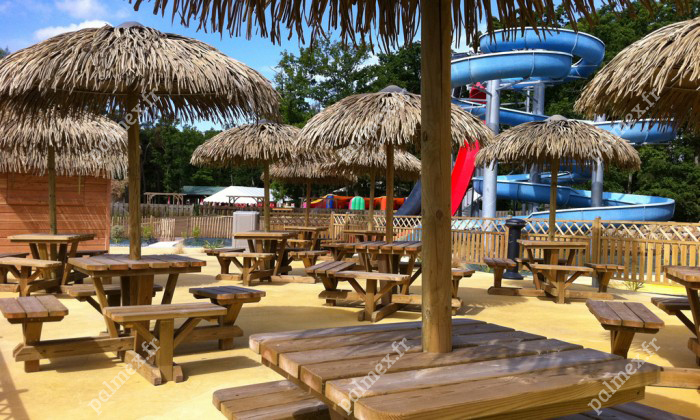 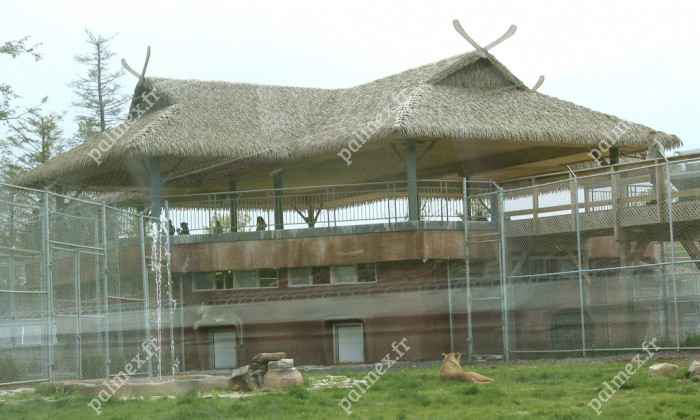 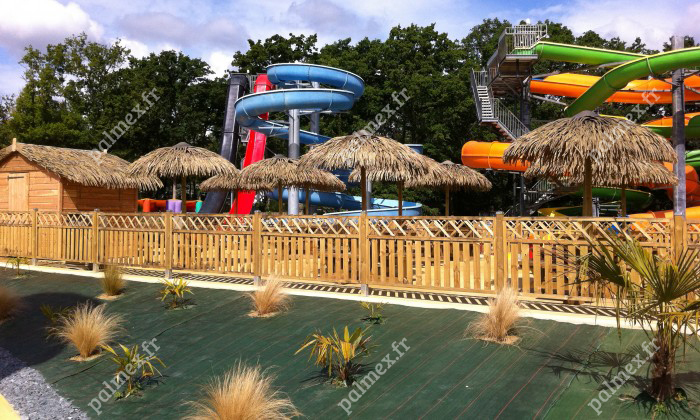 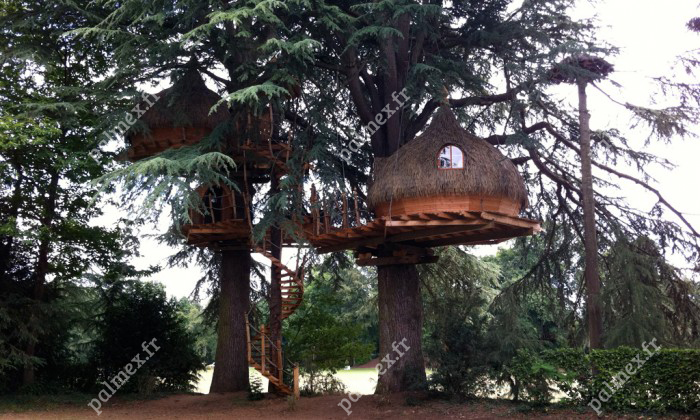 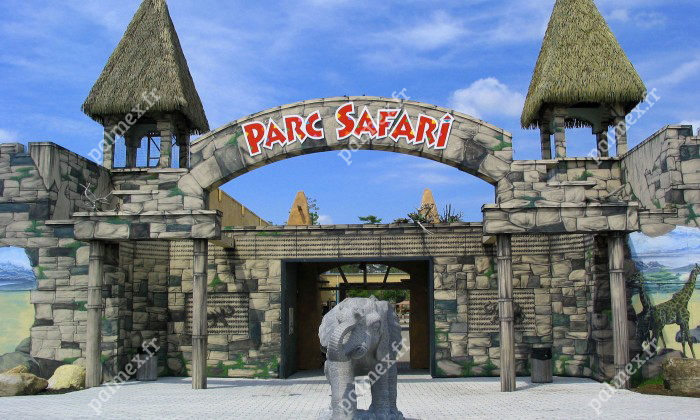 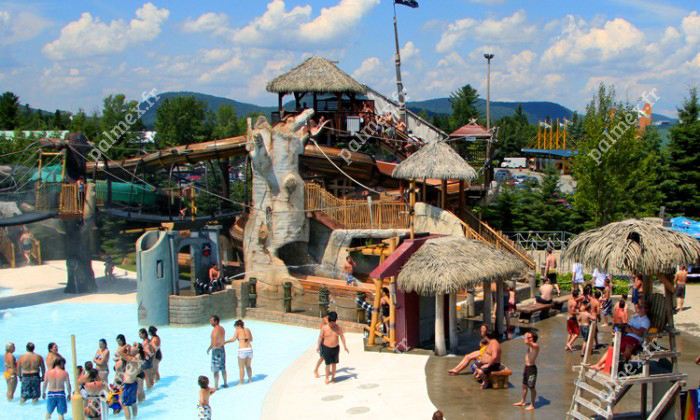 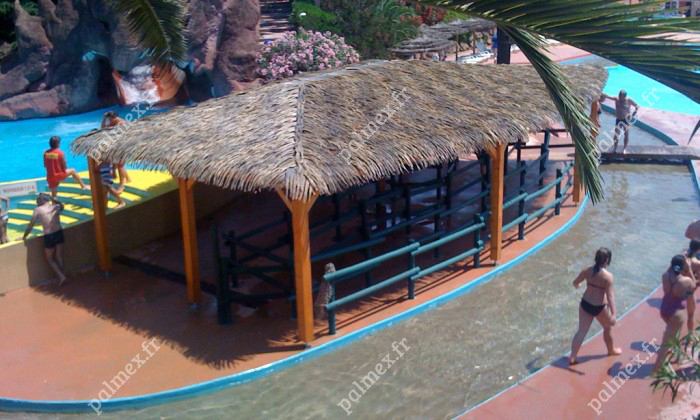 Creating a tropical and exotic atmosphere for Recreation parks, Amusement parks, Zoological parks and Water parks. 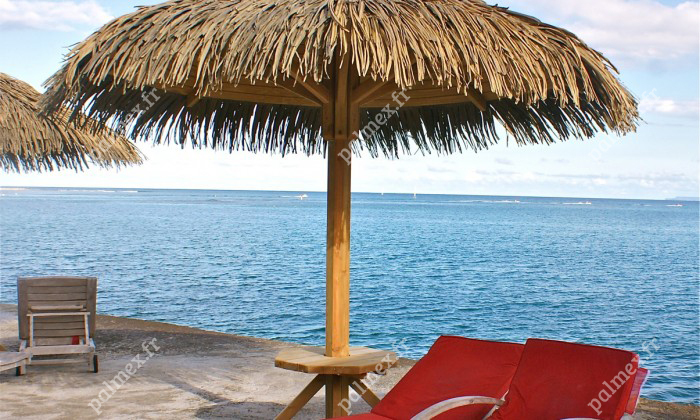 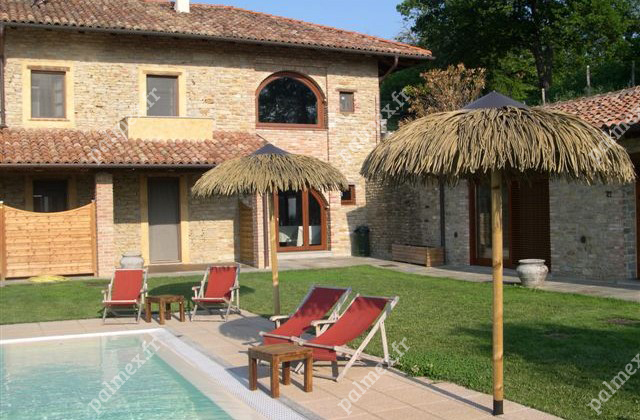 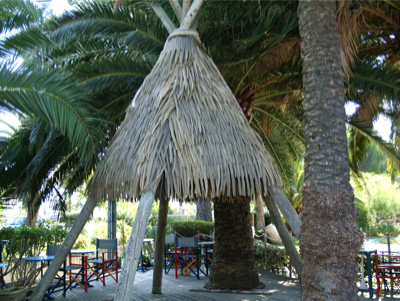 Photos of straw hut style umbrellas made from synthetic palm leaves. 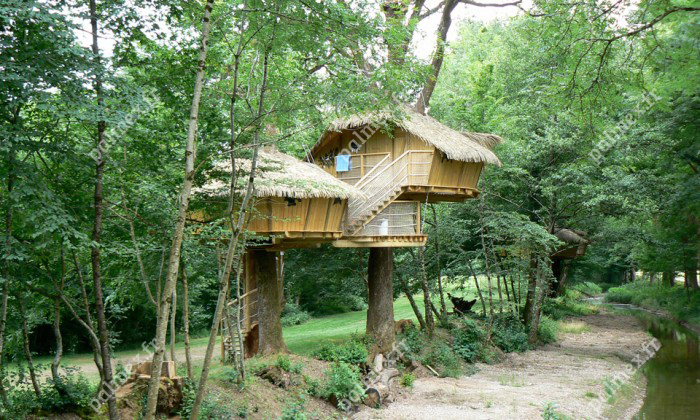 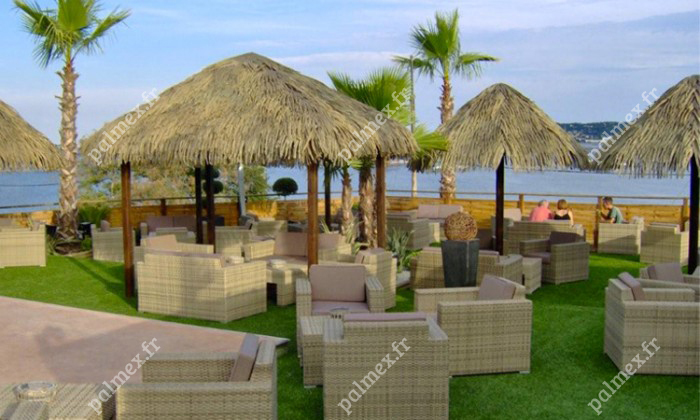 Choose Palmex products to furnish your unusual properties! 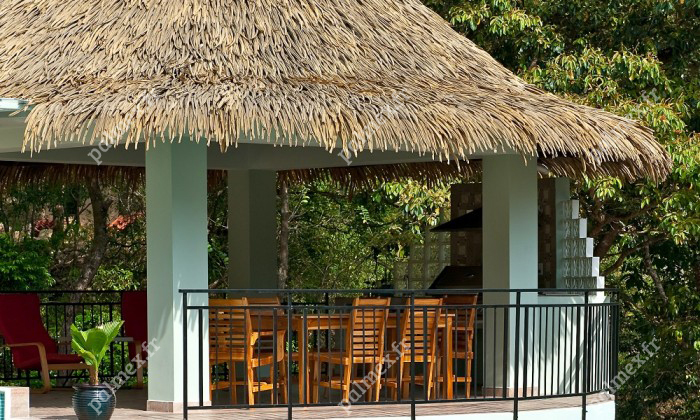 Make your hotel roofs more beautiful with our Palmex synthetic, exotic products. 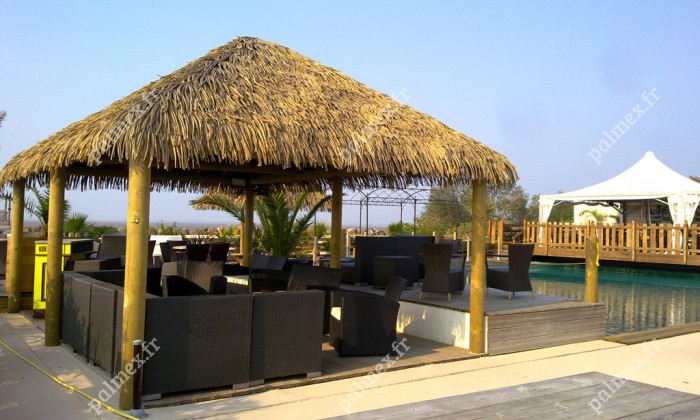 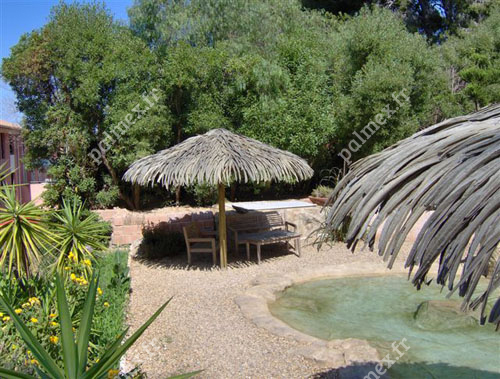 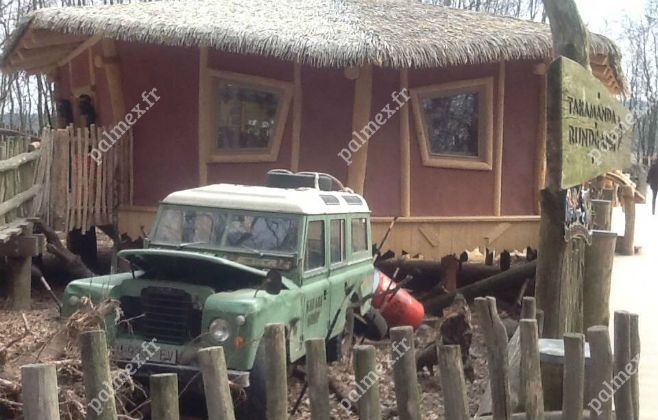 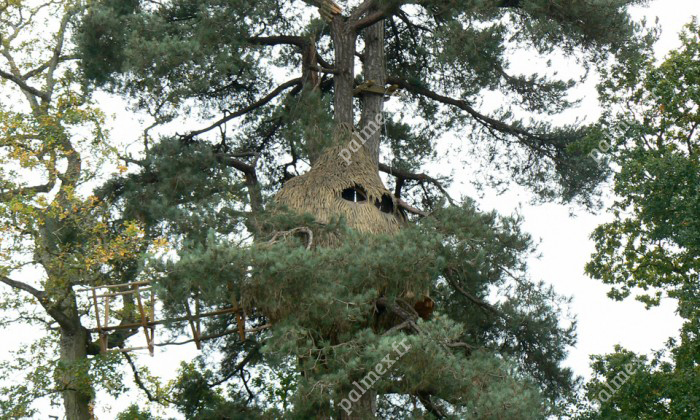 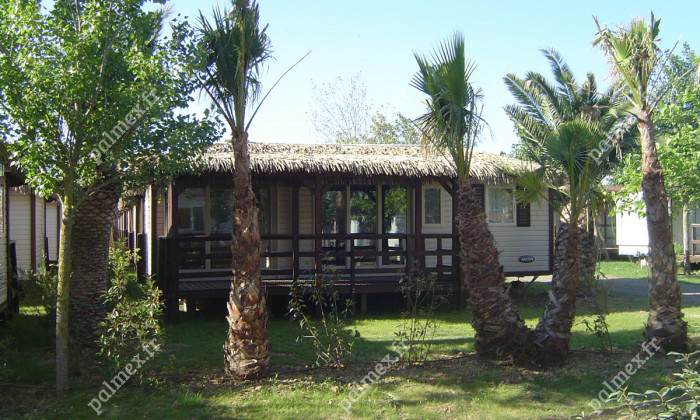 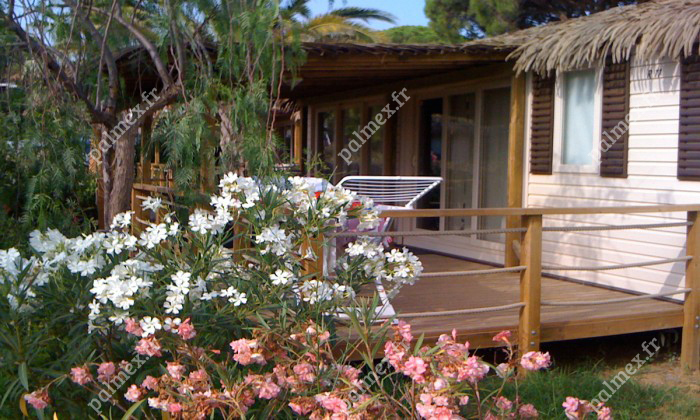 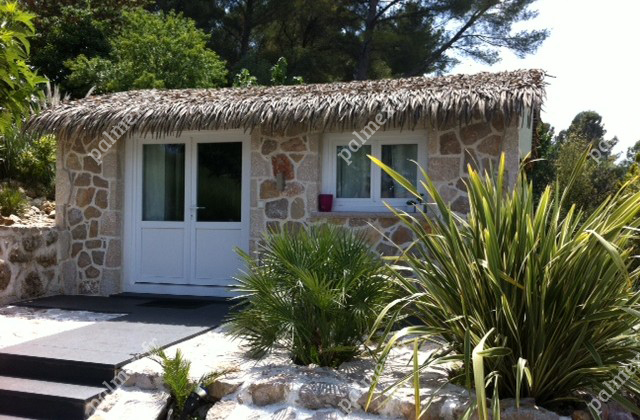 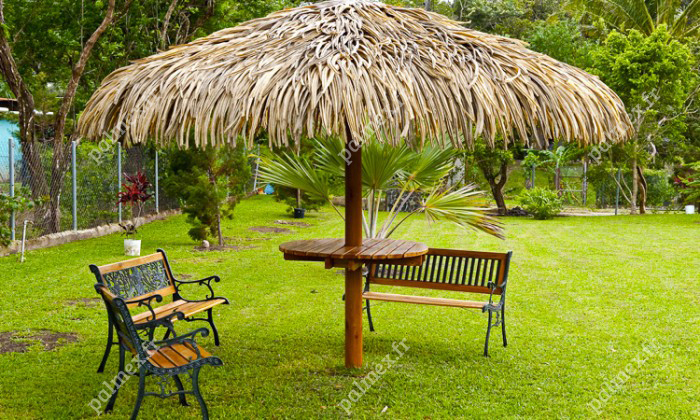 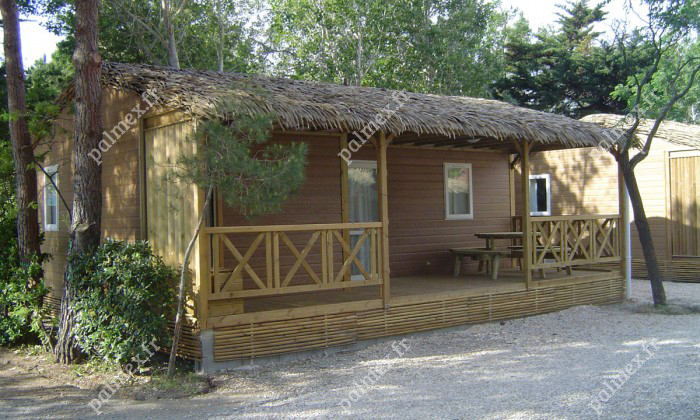 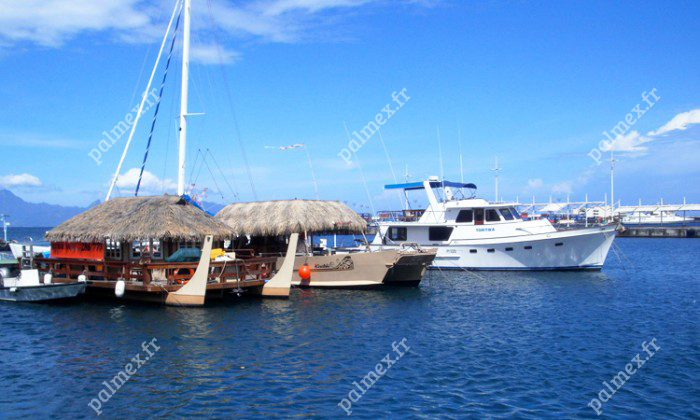 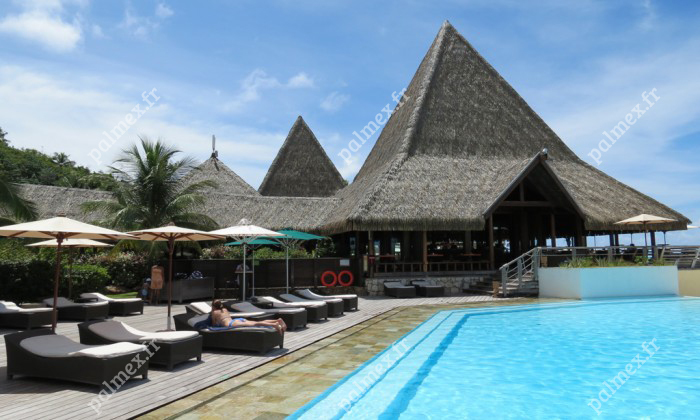 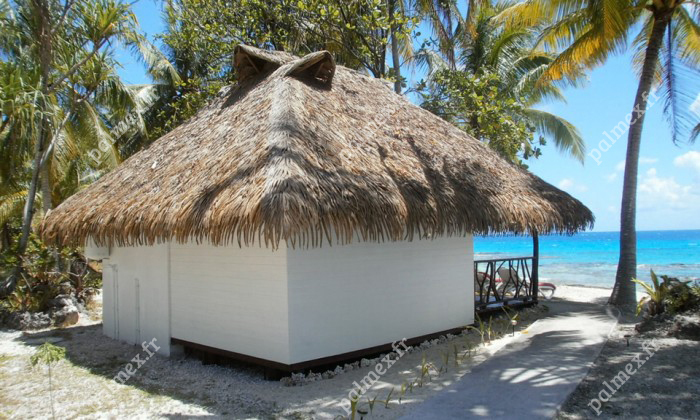 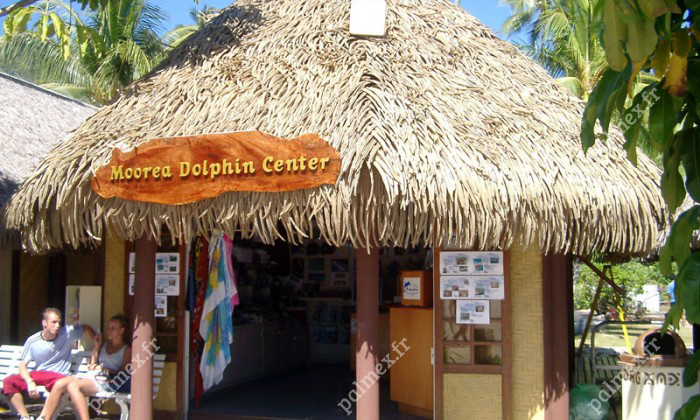 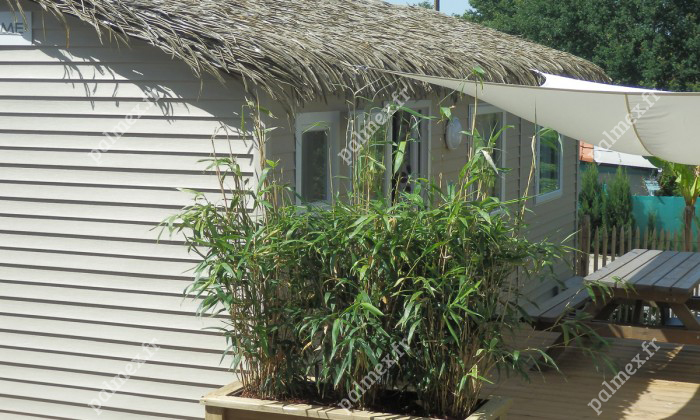 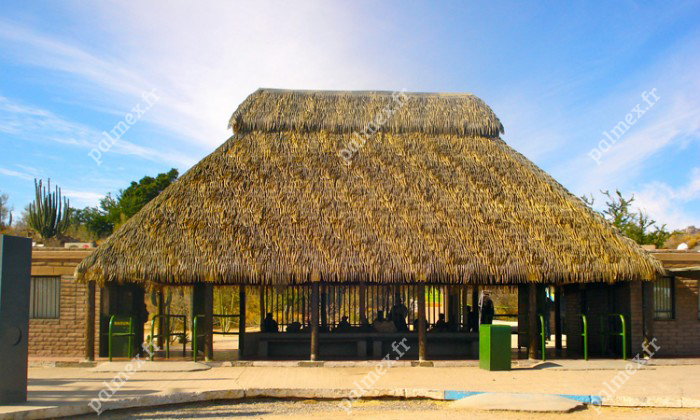 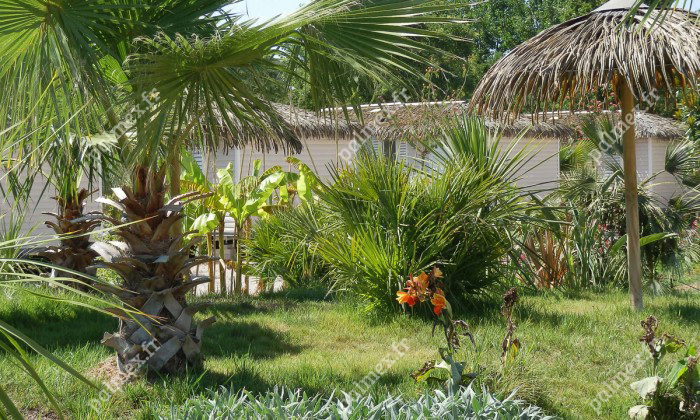 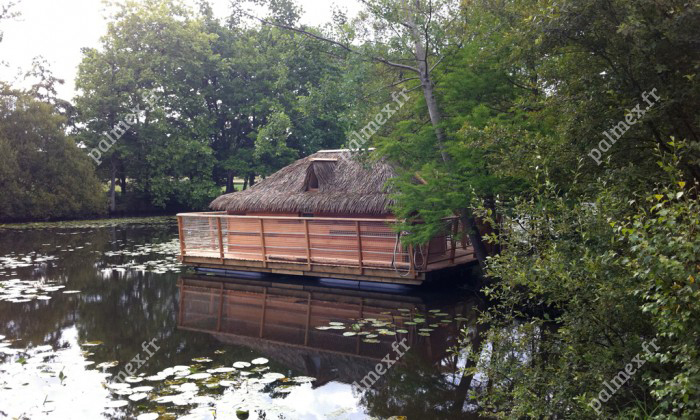 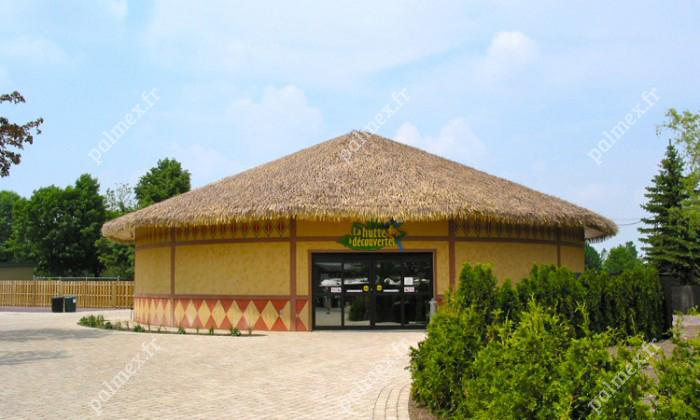 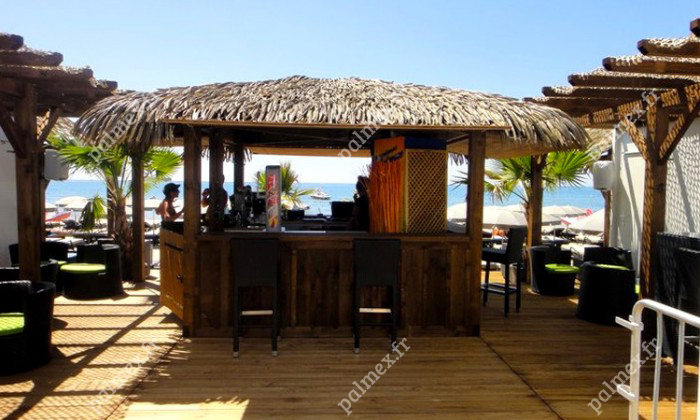 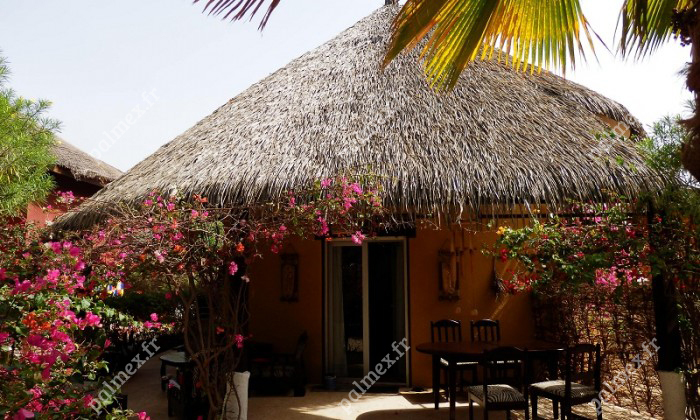 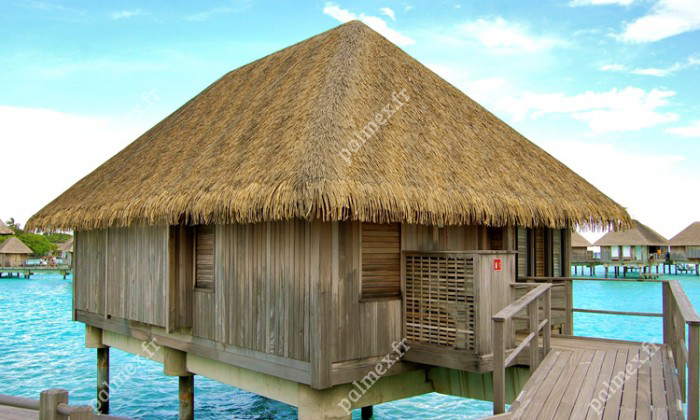 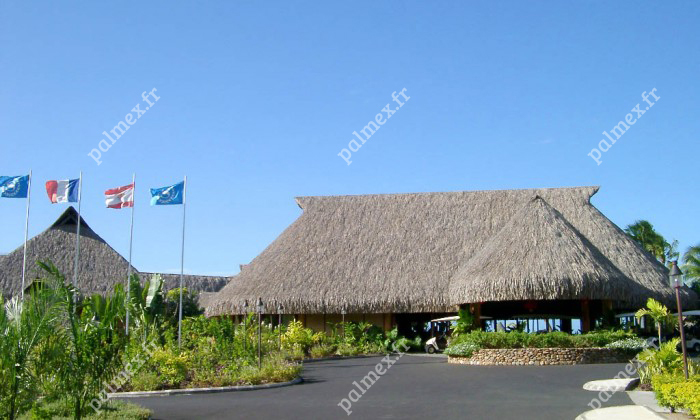 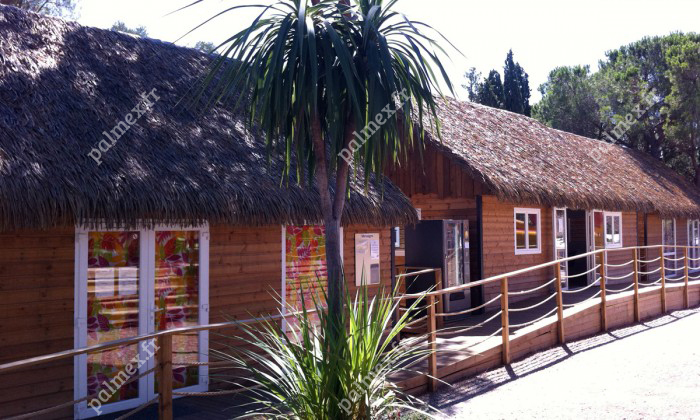 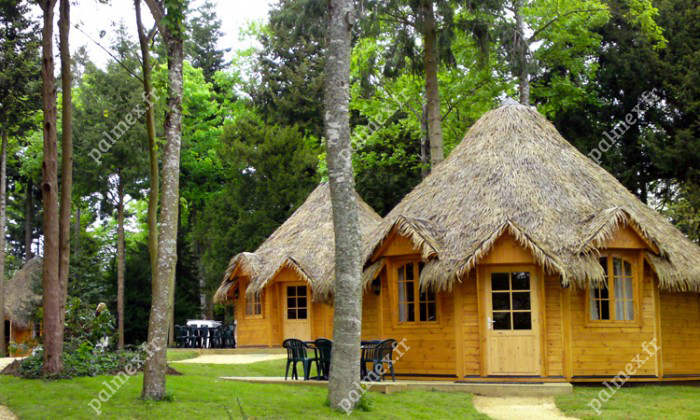 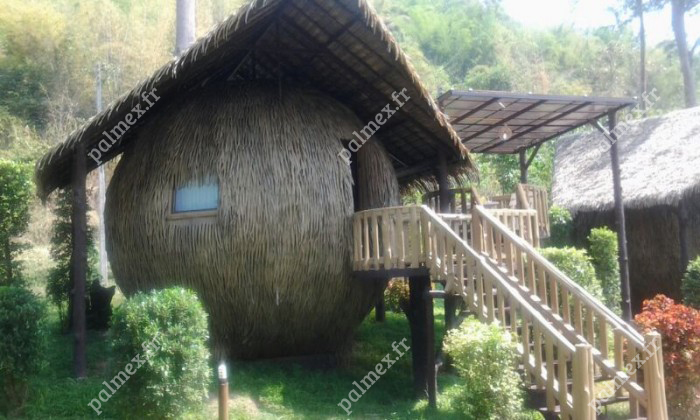 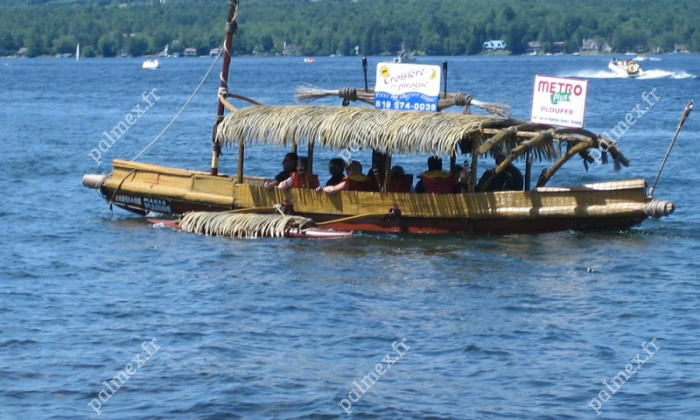 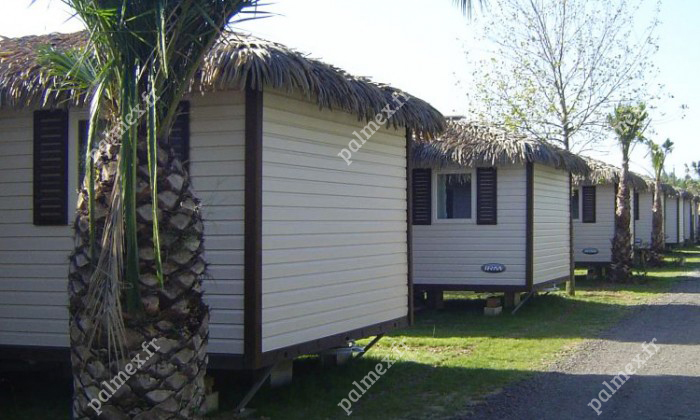 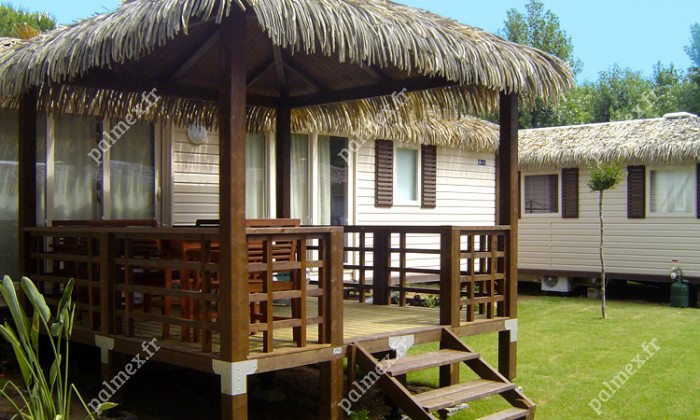 Give an exotic look to your Mobile Homes thanks to the Palmex roof, identical to thatch and to Pandanus leaves.